High up in the Andes hysterical rumours have begun circulating that Tupungato is getting active. Mount Tupungato stands at some 21,555 feet and its snowy peak can be spotted from the city of Mendoza. It sits close by active volcano Tupungatito (19,700 feet) which last erupted in 1987. According to the Chilean geological service, in August 2015 their scientists detected seismic activity around Mount Tupungato which indicates an eruption could occur. Their measurements reached 3.2 on the Richter scale and officials have requested the volcano be monitored with “especial atención” (special attention). Since such an event would have significant implications for both Argentina and Chile it would be logical to interpret this as a neighbourly warning of a potential disaster. In reality, though, the official Argentine response was a little different; authorities responded that they did not foresee the occurrence of any such volcanic incident. Typical Mendoza scene, vines and mountains. Image source: Mitsuhirato via Wikimedia Commons. Of course, a key reason for all the panic is because Tupungato towers over the Valle de Uco which is home to a plethora of prestigious wineries and vineyards. This is the area where big names like Catena grow their best grapes and foreign capital has weighed in heavily (the American Paul Hobbs, the Italian Alberto Antonini and Michel Rolland of France to name a few). 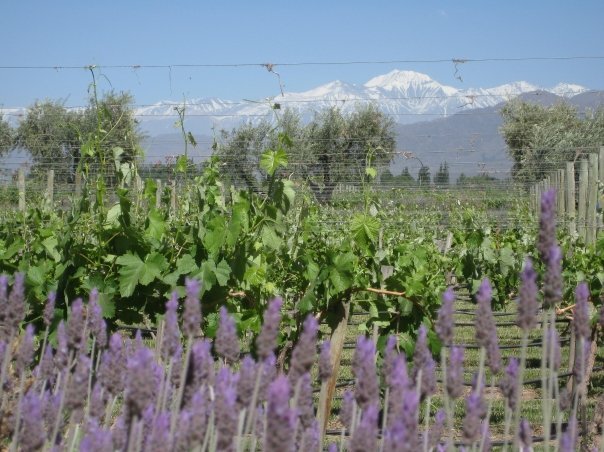 An eruption could cause massive damage to the Mendoza wine industry and to the local population of this remote area. There are even fears that the effects could reach the city of Mendoza; an explosion of Tupangatito in 1932 covered the urban area with ash. So, will she blow? No one knows for sure, but were such an event to happen the implications for the Argentine wine industry would be devastating. As the Argentines say, “Es la vida”. For now life will go on under the shadow of Mount Tupungato, regardless of what nature has planned. For more information on the story, take a look at this article from the Los Andes newspaper (Spanish only, sorry my English wine friends! ).